There are many Christ-followers in the NFL, more than most people are aware. Through the ministry of Pro Athletes Outreach (PAO), in the past few years I’ve been able to speak to and meet hundreds of them, and develop personal relationships with several dozen, so we’ve had lots of interactions between PAO conferences. I’ve spent personal time with Nick and Case in a small group, where we talked and prayed together, and exchanged verses with them in texts and emails. I’ve had enough personal, phone, and email dialogue with both of them to say with certainty that they love Jesus and are true students of God’s Word. These brothers are the real deal, and they are personal friends who played together on the same team, one where life wasn’t easy for either of them. (In the picture, that’s Case Keenum on the left and Nick Foles on the right, when they played together for the Rams.) They are true competitors in the right sense, yet in the end they are brothers in Christ who love and respect each other. Please pray for both of them as they are the starting quarterbacks for this Sunday’s NFC championship game. The winner and his team will go to the Super Bowl…needless to say, the other won’t. But regardless of the outcome of this big game, in the ways that matter in God’s sight, both Case and Nick are winners. I’ve heard a lot this season from people who say the NFL is full of arrogant, overpaid young men who are anti-American. Why? Because a tiny percentage of the players chose to kneel instead of stand for the national anthem before some of the games. My point is not to address this issue and the racial concerns related to it, but simply to say there are many Christ-followers in the NFL, and they should be evaluated on the basis of their own integrity and behavior, not that of their teammates. People are making sweeping judgments against professional football players that are, in my opinion, unfounded. Certainly there are far more important things in the world, including many done by people whose names are unknown to the vast majority of us. But both of these young men are Christ-followers who seek to honor Jesus through the platform He’s given them. Please pray for them and celebrate the fact that five months ago no one was predicting the Eagles versus the Vikings for the NFC championship. And even if they were, they weren’t expecting Nick Foles and Case Keenum to be the starting quarterbacks. Of course, everyone who was expecting them not to be there was wrong. In case you missed it last Sunday, here’s that “Minnesota miracle,” Keenum’s pass to Stefon Diggs, who scored the winning touchdown with no time left on the clock. It was truly one of the most amazing game endings in NFL history. Here’s Case Keenum giving honor to Christ, in an interview after the game. And here’s Nick Foles talking about Scripture and how he almost walked away from football, before God made clear He wanted Nick to keep playing. Here’s Carson Wentz, just after his season-ending injury, talking to fans and saying he was trusting Jesus and His plan. Finally, check out this article about Trey Burton, Philadelphia Eagles Tight End, who has a heart to share the love of Christ with the city of Philadelphia. (Don’t miss the link in the article to the podcast interview, too.) Trey is another great brother I met through PAO and chatted with after leading a pre-game Bible study in December with fifteen Eagles players and coaches. You might like to check out more articles from Sports Spectrum, a national publication that has been featuring Christian athletes for 15 years. I love their website! In a time where people are increasingly skeptical of young athletes, I’d encourage you to better understand and appreciate the many who are genuine followers of Jesus. Since your kids and grandkids, especially your boys, are likely to admire and listen to famous athletes, why not introduce them to those who know Jesus, giving them good role models instead of bad ones? 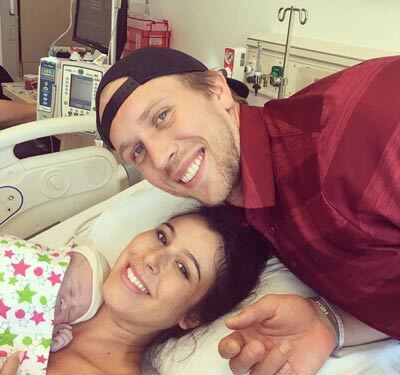 I’ll conclude with a story about Nick Foles (pictured here with his wife Tori and daughter Lily). In December, when we were in Seattle to watch the Eagles play the Seahawks, Nick went out of his way to meet with Nanci and me, our daughter Angela, son-in-law Dan Stump, and our grandsons Jake and Ty. As we sat in a coffee shop, Nick, who had met the boys before, warmly challenged them to say no to temptations and follow Jesus with all their hearts. They will never forget it—nor will we. Anybody who speaks into the lives of my grandsons like that has my lasting gratitude. In a world where athletes have such influence on young people, let’s celebrate and pray for those who follow Christ and seek to be God-honoring role models. No matter who wins and who loses in Sunday’s NFC championship game, I’m confident Nick Foles and Case Keenum will be among those players and coaches who honor Jesus. “So whether you eat or drink or whatever you do [including playing and watching football and other sports], do it all for the glory of God” (1 Corinthians 10:31). There are easily more than fifty faithful believers among the players and coaches on the remaining eight playoff teams this weekend. If you’re not a football fan you probably don’t care, but this serves as a reminder that God has His people everywhere. Recently quarterback Nick Foles' new book Believe It: My Journey of Success, Failure and Overcoming the Odds, was released. As of this Sunday it will debut at #5 on the New York Times Best Sellers list! With Josh Cooley’s able help, Nick has told his story in a unique and memorable way that can be enjoyed by avid football fans and not so avid ones. When speaking at a Major League Baseball conference several months ago, I recorded a podcast with Sports Spectrum. 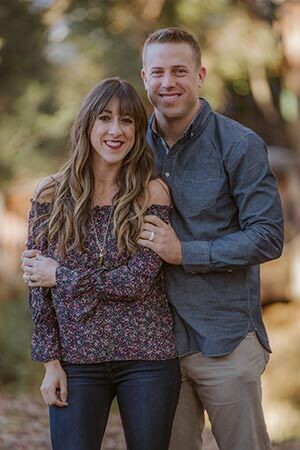 Host Jason Romano (formerly with ESPN) and I talked about ministering to professional athletes and the struggles that fame and fortune can bring. While few of us are pro athletes, many of the principles still apply. Most of us aren’t professional athletes, but career disappointments and personal failures in family relationships and whatever we do are just some of the many ways we become disillusioned. Listen to quarterback Nick Foles talk about how past failures have shaped him as a person. I’m praying for quarterback Nick Foles, that he would be in the eye of the hurricane, experiencing the peace of Jesus. Nick turned 29 last week, so this is a lot of pressure on a young man, but he’s humble and grounded, and I know from interactions with him yesterday that God is giving him great peace. Many vocations are more important than baseball or football or any other sport, which for most athletes last only a short portion of their adult lives. But regardless of what vocation or position or role in a family God gives us, when God gives His people a platform to stand on, and a voice that can be heard, He expects them to represent Him faithfully. There are athletes who are Christ-followers on many professional sports teams. The National Football League has a significant number. Last January the Florida Gators won the national college championship. Quarterback Tim Tebow was named Most Valuable Player.